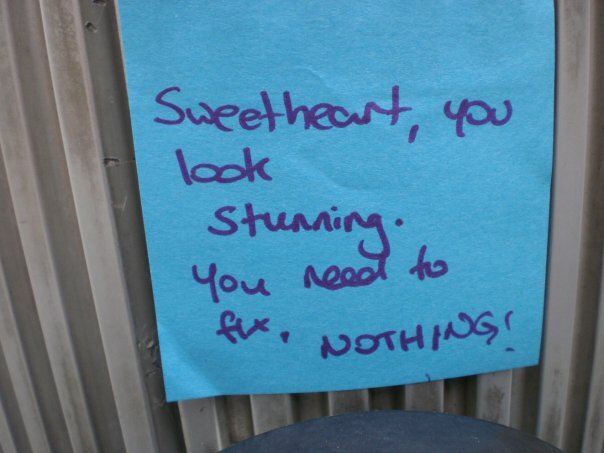 A young woman I admire, Noelle, was kind enough to share with me her recent adventures posting notes all around the streets of Sydney and in the change rooms at dress shops. 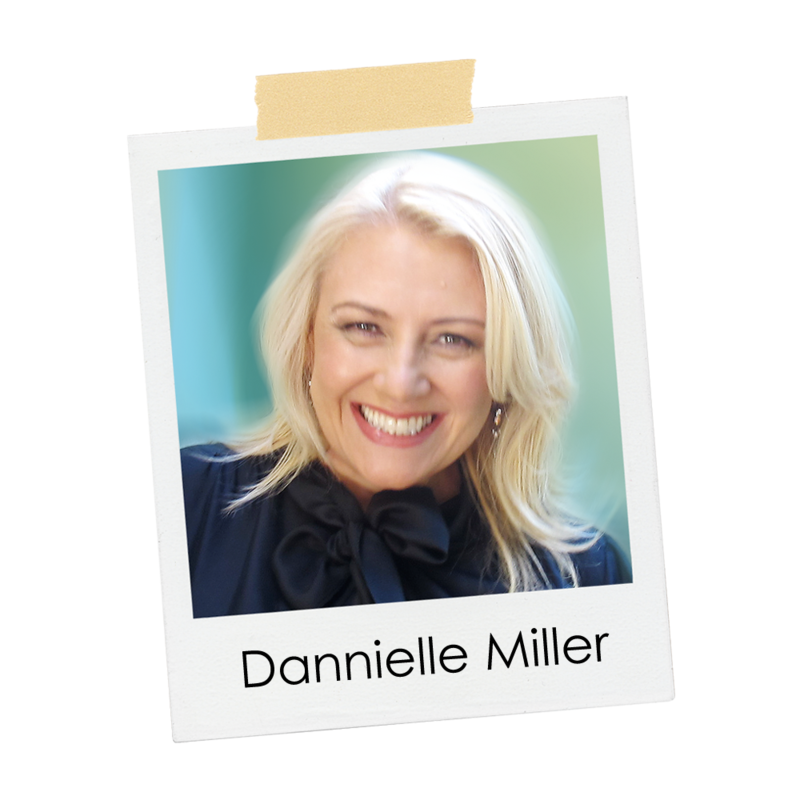 Not only did Noelle thoroughly enjoy spreading the love, she was touched by the positive responses she witnessed in women when they saw her anonymous notes. You may wish to read her blog account of this experience: http://diet-coke-missy.blogspot.com/2010/01/operation-beautiful.html. 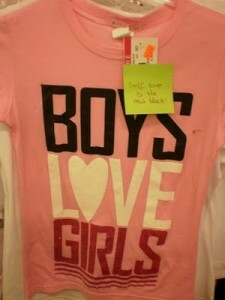 Noelle's note on this T-shirt in a shop reads: "Self Love — It's the new black!" 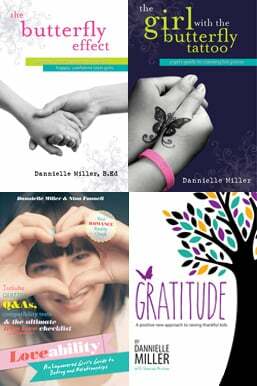 Implementing this project at your school or workplace would be a wonderful way to start the year! Think affirming notes left in the toilets, on lockers, hidden in library books . 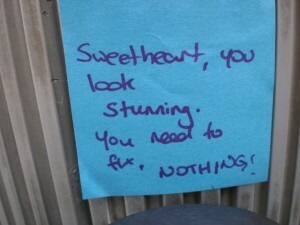 . .
Our girls are currently bombarded with messages that tell them they are not enough. Let’s create more opportunities to be voices of difference. Previous Post Girls Go Green! 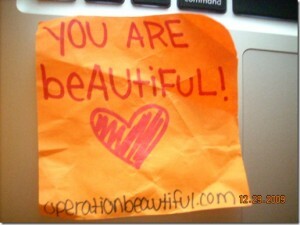 I love Operation Beautiful! I’m going to hide a note for my mum and little sister to find today! Fabulous idea! It is about celebrating the individual qualities that make oursleves and others extraordinary. Sonia – that’s a GORGEOUS idea!